Mike Rose writes: As jazz fans will know, an Alan Barnes gig always guarantees a number of things. First, wonderful, joyful jazz. Second, an array of jokes both old and new, amusing passing comments made to the audience, and finally, a thoroughly enjoyable time for all. Add the excellent line-up of Henry Lowther (trumpet), Frank Harrison (piano), Simon Thorpe (bass) and Matt Fishwick (drums) and you have a perfect package. 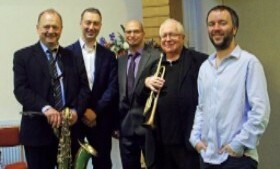 Alan’s Quintet played a fundraising gig for the Archive on Saturday 22 October at Loughton. A packed house of discerning jazz aficionados enjoyed a nice mix of jazz standards and a selection of Alan’s excellent original writings. Henry Lowther sounded like he had just arrived from the West Coast with the coolest trumpet sound. Frank Harrison’s lightness of touch both during his solos and filling-in behind the front line were a sheer delight. Simon Thorpe and Matt Fishwick provided a solid basis for the quintet as well as highly imaginative and enjoyable solos. And yes, a great time was had by all. Thirty-seven young people from London’s inner-city boroughs have collaborated to produce a free new magazine, celebrating Black Icons of the British Jazz Age in the 1920s and 30s. ‘Black Icons’ was launched during Black History Month in October. 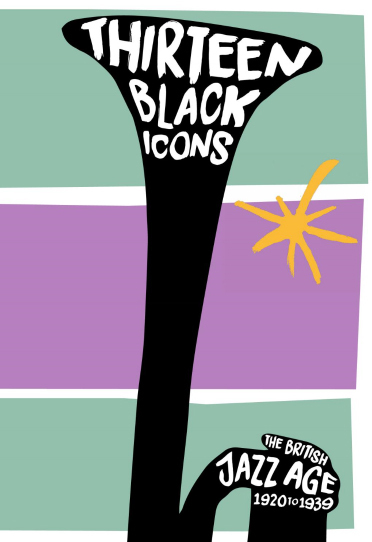 Black Icons is an initiative by the award-winning charity Fashion Awareness Direct (FAD) and is funded by the Heritage Lottery Fund in collaboration with the Black Cultural Archives. The project sees iconic Black figures such as entertainer Rita Cann, boxer Len Johnson and broadcaster Una Marson brought to life, empowering Black youth and inspiring young people from all backgrounds with their shared heritage. This stunning fabric was inspired by the story of Ken ‘Snakehips’ Johnson, band leader and dancer, killed in an air-raid in London in 1941. This unique project encouraged those involved to conduct hands-on archive research with original source material. Volunteers heard lectures from respected historians to inform their work. 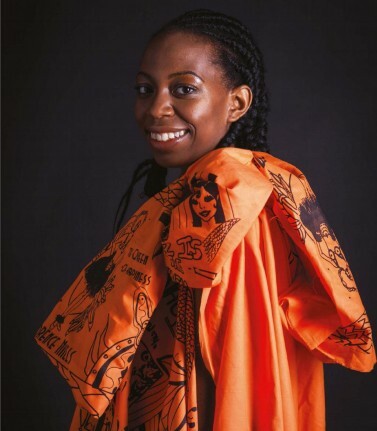 The young volunteers explored London’s rich archives at the BFI, the British Library and the National Jazz Archive, before designing and creating textiles inspired by traditional East African Kanga cloth, to celebrate their chosen Black Icons. These cloths were then modelled by the young people themselves, providing the images for the final magazine. 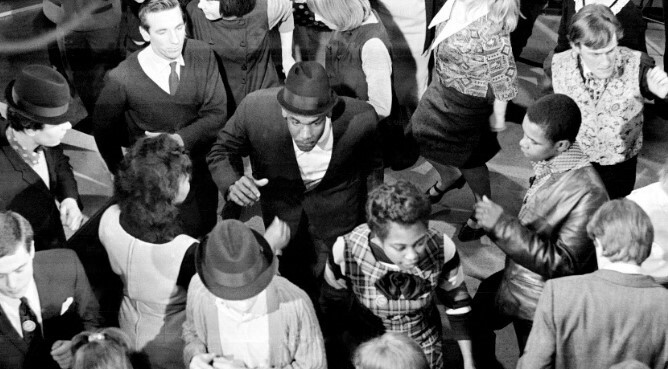 A stunning new book – ‘Brian O’Connor’s Images of Jazz’ – of more than 400 photographs of jazz musicians taken over 45 years, has been published – an ideal Christmas present for jazz lovers! The book captures striking and atmospheric black and white and colour photos of musicians taken at more than 60 venues in London and across the UK between 1971 and 2016. It includes photos of UK and visiting American and European musicians both onstage and informally. Several musicians are featured at different stages of their careers, from exuberant youth to successful maturity. Brian includes affectionate notes about his regular visits to Ronnie Scott’s and other venues, and shares insights into his life as a jazz photographer, capturing the moment. There are notes for the camera enthusiast, and a detailed index of musicians. ‘Brian O’Connor’s Images of Jazz’ is published by Riverside Publishing Solutions, in association with the National Jazz Archive. The book is A4 hardback, 132 pages printed in colour throughout, ISBN 978-1-5272-0057-9. The book is priced at £25 plus £4.95 post and packing (UK), but the price for orders placed before 24 December 2016 is £20 plus p&p. 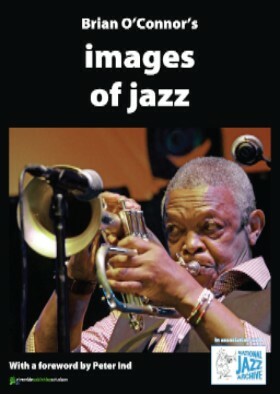 For more information and to order, contact Brian O’Connor: info@imagesofjazz.com. London Jazz News published a preview/ interview with Brian here. The Paul Mellon lectures 2017 will be given at the National Gallery, London on Monday evenings from 9 January to 6 February 2017 by Thomas Crow, Professor at the Institute of Fine Arts, New York University. ● Jazz painting? Modernist Hockney? The lectures, named in honour of the philanthropist and collector of British art, Paul Mellon (1907-99), were inaugurated in 1994.The lectures are biennial, given by a distinguished historian of British art. Don’t miss the Simon Spillett Quartet! Saturday 11 February is the date, and Loughton is the place. 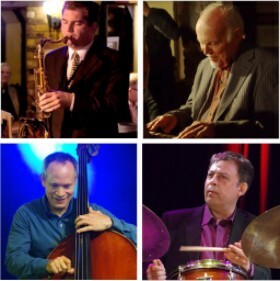 The ‘formidable’ Simon Spillett is bringing John Critchinson, Alec Dankworth and Clark Tracey to play a fundraising concert for the Archive. It starts at 2.30pm and tickets, price £15, can be ordered here. 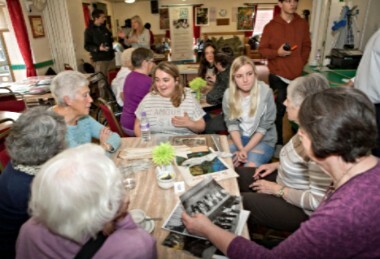 Our Intergenerational Jazz Reminiscence project held its third reminiscence workshop in partnership with Loughton Youth Project at Lion Walk Activity Centre in Colchester on 26 October. 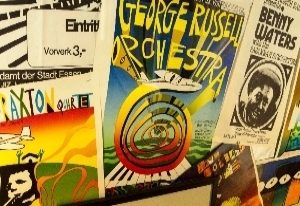 The workshop showcased some of our archive material, as well as artwork and artefacts from Colchester Jazz Club’s Dave Bailey. Local jazz musician Goff Dubber also delighted participants with soprano sax and clarinet. Read Layla’s blog post here. These will feature performances from young musicians: more details will be in our newsletters in the New Year. 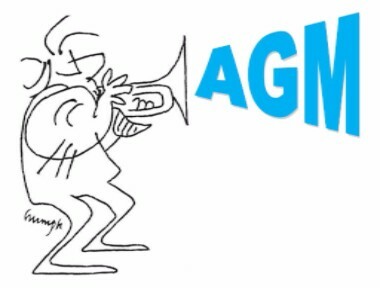 For the first time for some years, the National Jazz Archive will be holding an Annual General Meeting. This will be at 12.30 on Monday 12 December, at the Archive in Loughton Library, Traps Hill, Loughton IG10 1HD. It will be followed by refreshments, and the opportunity to thank all our volunteers for their great work over the past year. All are welcome: if you plan to join us, please email enquiries@nationaljazzarchive.org.ukbeforehand so we can order enough sandwiches! This month we feature Bobby Wellins, who sadly passed away on 27 October 2016. A proud Scot, Bobby has long been considered one of the UK’s greatest tenor saxophonists. His career extended over five decades and had many highs and, regrettably, a few lows. 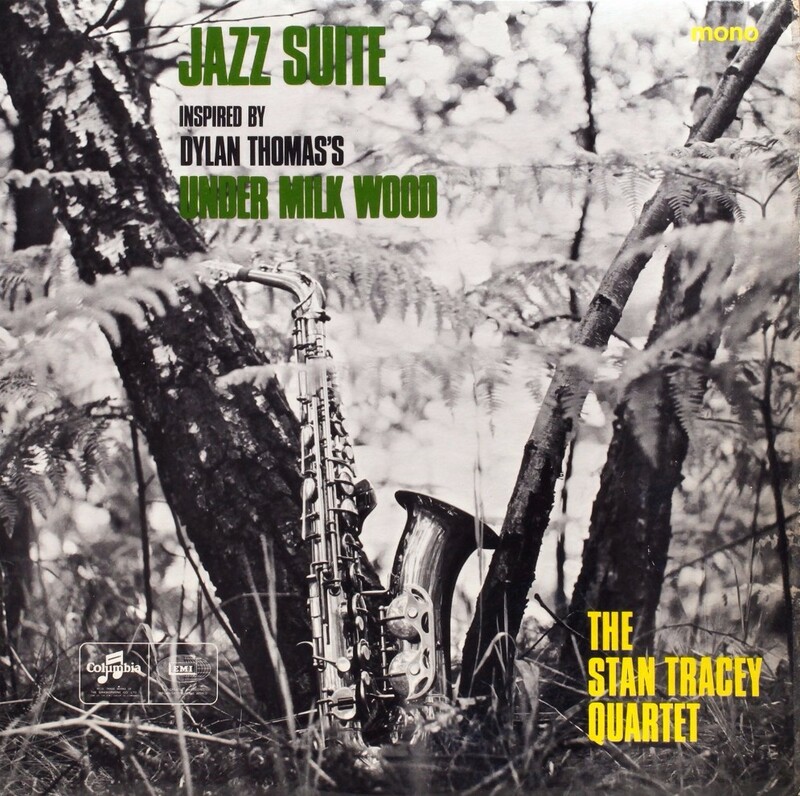 In 1965 Bobby recorded Stan Tracey’s ‘Under Milk Wood’, the suite inspired by Dylan Thomas’ radio play, with Stan at the piano, Jeff Clyne on bass and Jackie Dougan on drums. This album has rightly become regarded as one the finest UK jazz albums every produced. In 2010, Guardian critic John Fordham wrote of Bobby’s performance “Wellins’s softly hooting sax, the rippling tone-poem ‘Starless and Bible Black’ is widely acclaimed as one of the great jazz performances”. In 1996 Bobby recorded an album which was his personal favourite – ‘The Satin Album’ – which was his instrumental interpretation of the 1958 Billie Holiday album of the same name. ‘You Don’t Know What Love Is’ is a track from Bobby’s version. 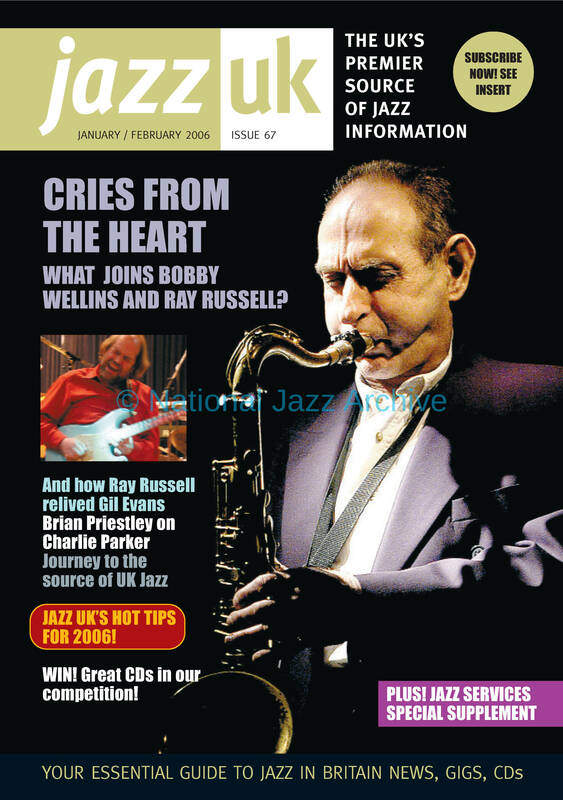 In 2006, Bobby gave JazzUK magazine an interview in which he talked candidly about his life. Read the first part here and the second part here. 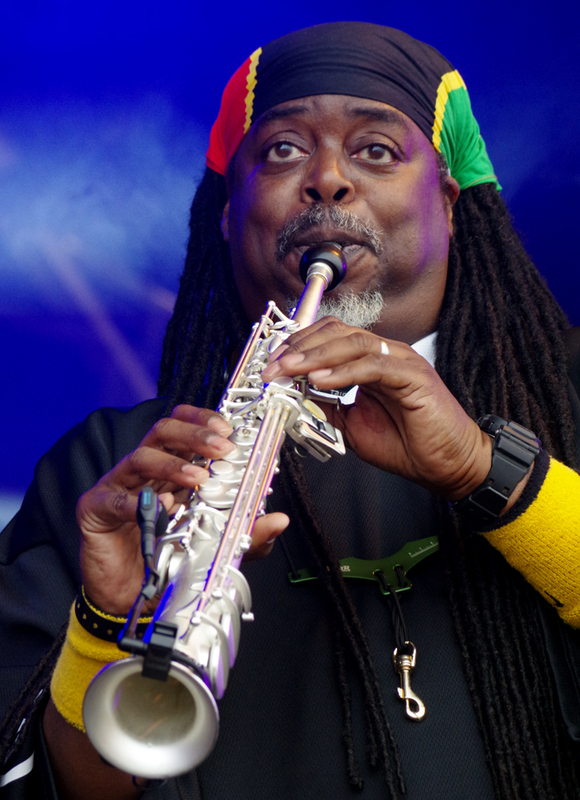 In recent years, Bobby made himself known to younger jazz fans, appearing at many venues across the UK. He was rarely seen without a smile, was down to earth, self-effacing and happy to greet his many admirers. And apart from that he was a fabulous tenor player and will be sadly missed. Put simply, Bobby you did it ‘In Your Own Sweet Way’. The photo at the top was taken by Denis Williams at the Fairway, Welwyn Garden City in 1997. 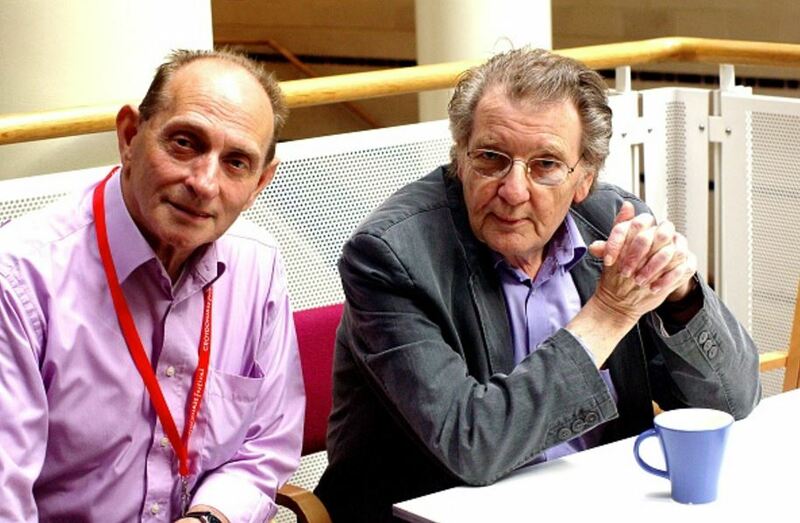 The photo of Bobby and Stan Tracey was taken by Brian O’Connor in 2007. Pass it on … ! Have you found this newsletter interesting? Why not pass it on to jazz-loving friends and encourage them to sign up on our websiteto receive it direct every month. 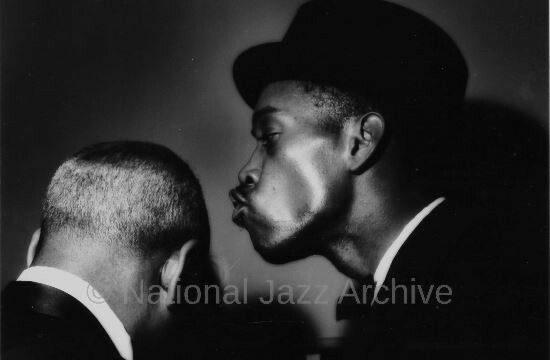 The photo of Coleman Hawkins and Sonny Stitt was taken by Terry Cryer in Bradford in 1959. The Archive holds 160 of his photos. 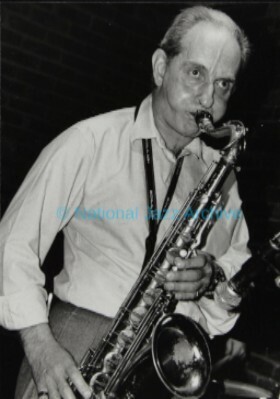 The National Jazz Archive was founded by trumpeter Digby Fairweather in 1988 and is supported by Essex County Council and the Heritage Lottery Fund. Copyright © 2016 National Jazz Archive, All rights reserved.